← Sezairi reminisces the 70’s. Falling Feathers is back with his latest single titled Hush! The 21-year-old singer-songwriter who was the recipient of the 2016 Noise Mentorship is all geared up with new material for his EP which is set to be released early 2018. 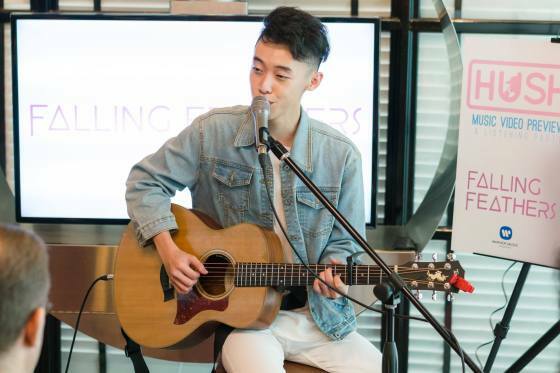 The local performer is a newly signed artist with Warner Music Singapore. The release of Hush comes after the feature of Why So Serious on one of South Korean TVN’s popular variety show — Youn’s Kitchen. Hush explores the futuristic pop rhythms of the next generation of love songs. Falling Feathers is constantly playing around with the elements of disco and funk in his songwriting. 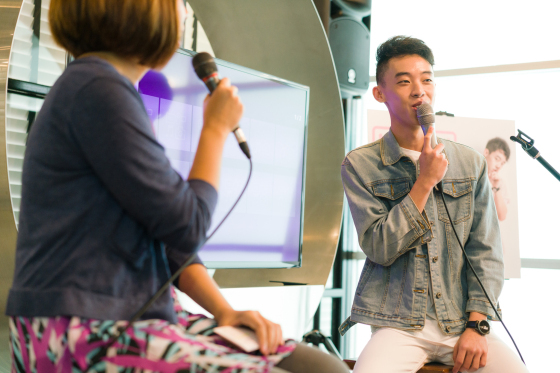 As a Singapore Polytechnic alumni who majored in Music and Audio Technology, he is always mixing up the different elements of “basic” pop music and making it relatable to the masses. In line with that dream, he wrote Why So Serious during his National Service days, during which he had collaborated with his senior, Edric Hwang from GRYD. Fun Facts about Falling Feathers! He loves Indian food, you might see him devouring Briyani at your nearby eateries with a side of Coke. He is a huge fan of local singer-songwriter Charlie Lim and Stormzy, a hiphop artist from the UK! He was once stung by a jellyfish. The ocean is not a go to place for him, however, on the other hand he is a sports junky who loves skydiving! He is a fan of Netflix. He is up-to-date with the most current season of The Games of Thrones! He is an avid online shopper. ASOS is his favourite online store, particularly because of the style and variety of sizes available. The fun and colourful music video for Hush was directed by Falling Feathers himself, alongside the partnership from Zie of Thievves Productions, who is a member of local band Disco Hue. Without prior training in the field, he challenged himself with the teamwork of director of photography/editor, Jeremy Kieran. The future seems bright for Falling Feathers! He will be performing a series of live shows in the coming months. Check him out at the Ignite! Music Festival on 28 July at Republic Polytechnic. He is also in the works of perfecting the 5-track EP which he plans to release early next year. His quirky take on life and the emotional struggles of the past has been the driving force and inspiration for his songwriting journey. Hush is available on Spotify and iTunes and the music video will be premiering on MTV Asia on 28 July 2017! Thank you Warner Music Singapore for the invitation!